Go biking on Funen and the surrounding islands. Get inspired to to plan exciting trips with the bicycle map. - NEW! 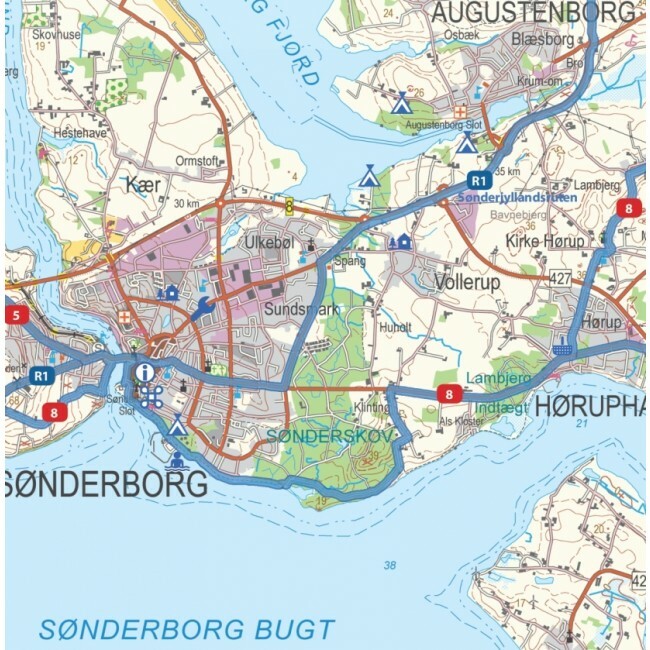 Four city maps: Odense, Svendborg, Middelfart og Nyborg. - NEW! Roads with bicycle paths are clearly marked outside of cities. - NEW! Bicycle rest stops. - General information about accomodation, bicycle inclusion on trains etc. - Information icons on convenience stores, bicycle stores, national attractions, tourist agencies, camping sites, hostels, beaches and cycle friendly churches. List of content, general information and legend is written in Danish, German and English. 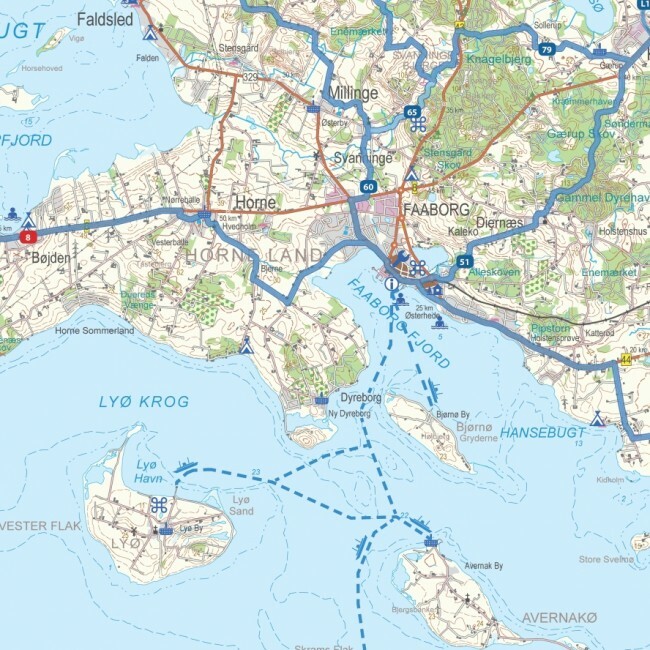 With data from "Danish Geodata Agency", "Vejdirektoratet" and expert knowledge from consultants, we have designed a series of detailed cycle maps of highest quality. The maps are printed on the waterproof material Polyart, a material that folds well and is unaffected by humidity. The matt coating enhances the legibility of the map directions and names (vs. plastified maps). The material is environmentally friendly w/the recycling label, used to label paper and bottles, and tells that at least 45 percent of the material is recycled, and the product is at least as good as similar materials of new raw materials. 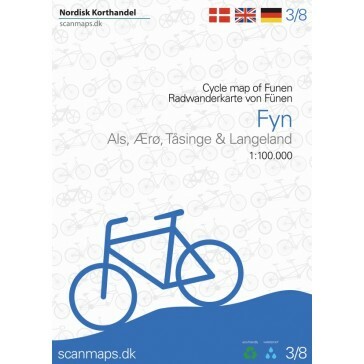 Funen, Ærø, Tåsinge og Langeland cycle guide, 135,- kr. Funen, Ærø, Tåsinge og Langeland cycle guide and cycle map 225,- kr. You will recive your order within 2-4 work days, unless otherwise specified. You are more then welcome to call us if you have any questions. You can return any item you have bought within 14 days, in both our physical shop or by sending it to us.